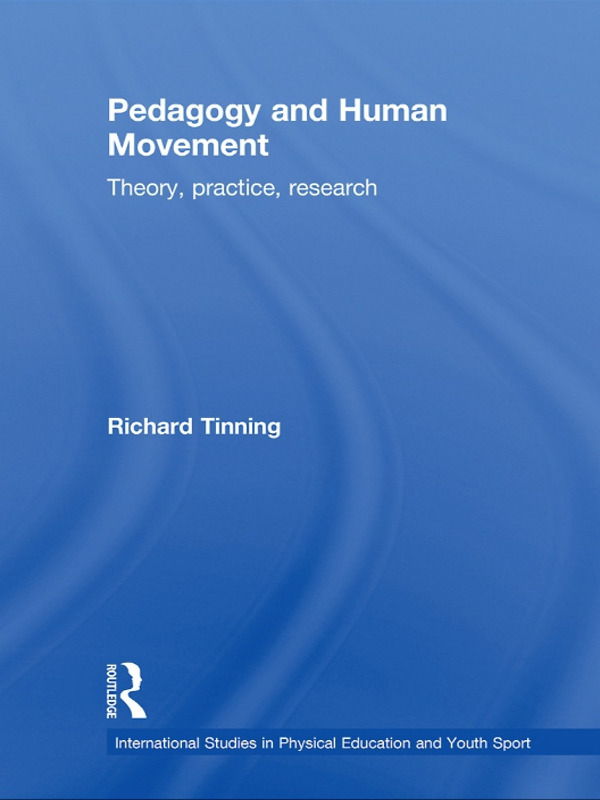 Across the full range of human movement studies and their many sub-disciplines, established institutional practices and forms of pedagogy are used to (re)produce valued knowledge about human movement. Pedagogy and Human Movement explores this pedagogy in detail to reveal its applications and meanings within individual fields. This unique book examines the epistemological assumptions underlying each of these pedagogical systems, and their successes and limitations as ways of (re)producing knowledge related to physical activity, the body, and health. It also considers how the pedagogical discourses and devices employed influence the ways of thinking, practice, dispositions and identities of those who work in the fields of sport, exercise and other human movement fields. With a scope that includes physical education, exercise and sports science, sports sociology and cultural studies, kinesiology, health promotion, human performance and dance, amongst other subjects, Pedagogy and Human Movement is the most comprehensive study of pedagogical cultures in human movement currently available. It is an invaluable resource for anybody with an interest in human movement studies.